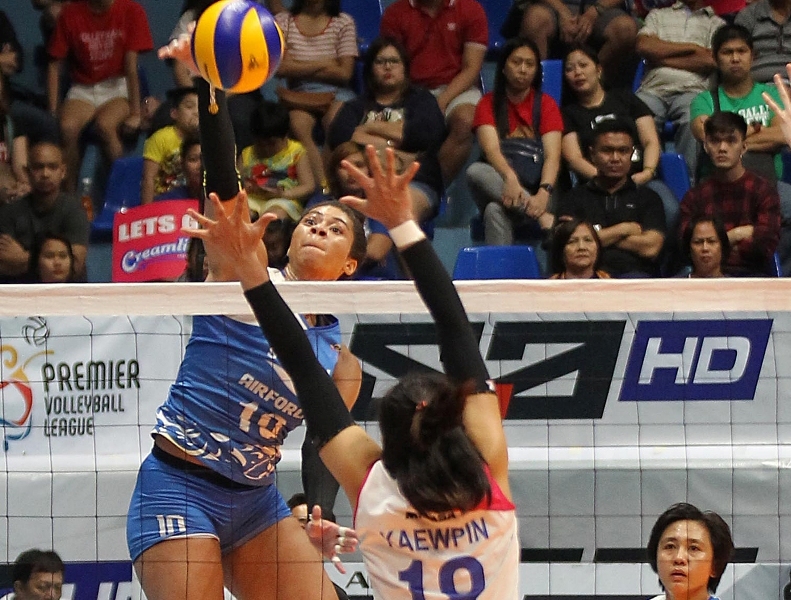 Ateneo-Motolite bounced back strong from a listless third set stint then banked on its tall frontline crew in the decider to frustrate Tacloban, 25-18, 19-25, 11-25, 25-17, 15-11, and wrest solo second in the Premier Volleyball League Season 2 Open Conference duel at the Filoil Flying V Center in San Juan last night. 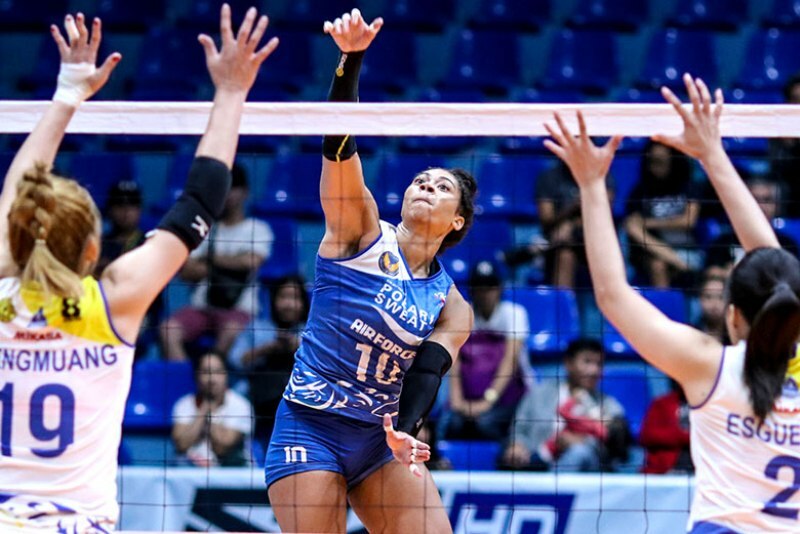 BanKo-Perlas seeks to ride the momentum of its strong third place finish in Vietnam while Ateneo-Motolite hopes to come out strong from a long break as they take on separate rivals today at the resumption of their campaign in the Premier Volleyball League Season 2 Open Conference at the Filoil Flying V Center in San Juan. 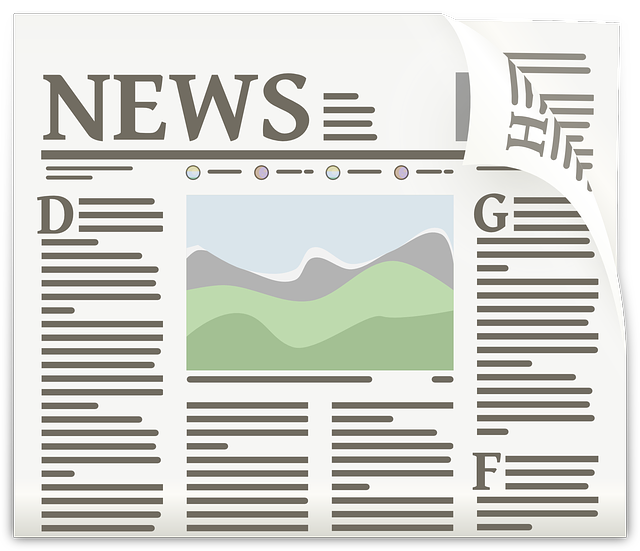 An Indian Air Force pilot was killed on Wednesday when his Soviet-era jet fighter crashed on a routine sortie near the border with Pakistan, an official said. 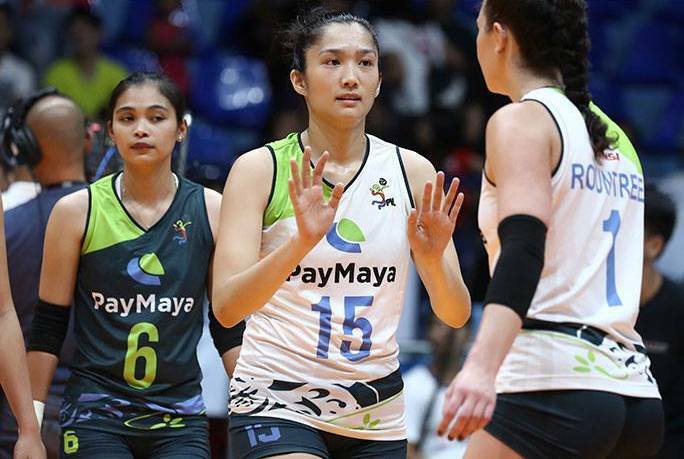 Pocari-Air Force bucked the absence of local ace Myla Pablo and turned back BanKo-Perlas, 25-22, 17-25, 16-25, 26-24, 15-11, to zero in on third place honors in the Premier Volleyball League Season 2 Reinforced Conference at the MOA Arena in Pasay yesterday. A Romanian Air Force pilot died on Saturday afer his fighter jet crashed during an airshow in the south east of the country, the Romanian Defence Ministry said. 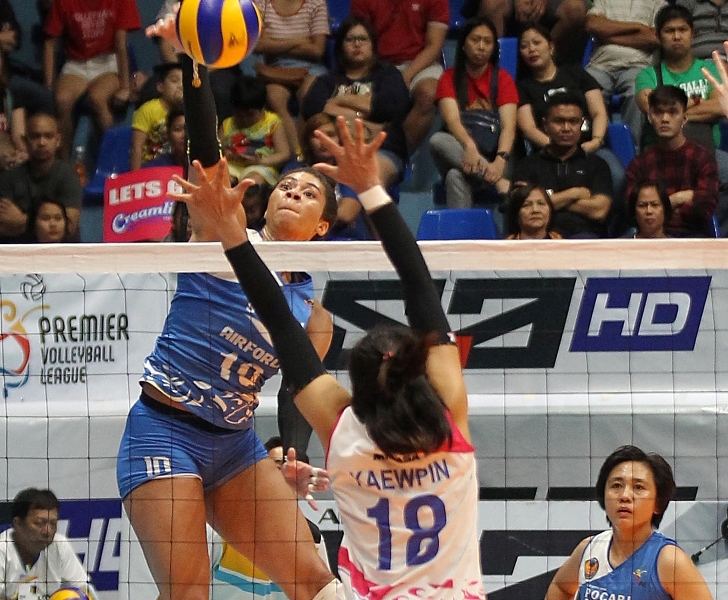 Creamline and PayMaya, stung by their respective lower ranked rivals in the opener, both vowed to bounce back when Game Two of the Premier Volleyball League Season 2 Reinforced Conference semifinals is played tomorrow (Wednesday) at the Filoil Flying V Center in San Juan. 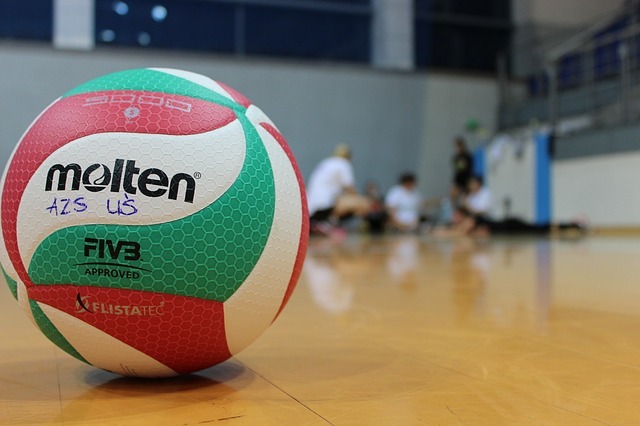 Pocari-Air Force used the momentum of its stirring come-from-behind win in the opening frame as it dominated top seed Creamline in the next two to fashion out a surprising 25-23, 25-12, 25-23 victory to zero in on the first finals berth in the Premier Volleyball League Season 2 Reinforced Conference at the Filoil Flying V Center in San Juan Sunday. 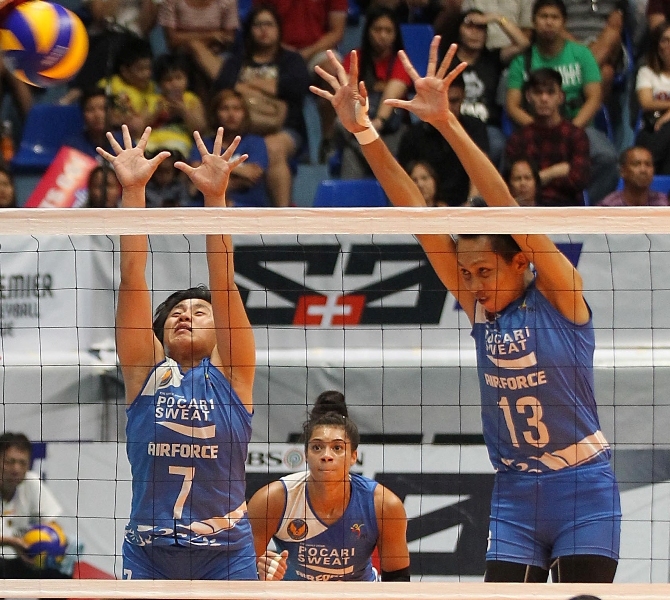 Top seed Creamline is hungry for a Premier Volleyball League crown but Pocari-Air Force has the experience needed in winning such as they collide today (Sunday) at the start of their best-of-three semifinal series in the Season 2 Reinforced Conference at the Filoil Flying V Center in San Juan.